Do you have a healthy recipe that literally the whole family enjoys? They come far and few between in my house, at least the healthy part does, but these Grilled Southwest Black Bean Burgers are a real hit. I made them yesterday and let me tell you, they were completely devoured. Even with a little kick to them, my toddler still enjoyed one. 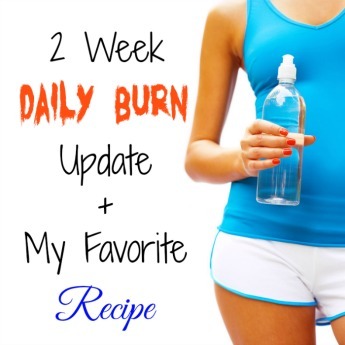 This recipe all started as I’ve been trying to cook some healthier meals at home. I’ve had frozen veggie burgers from the store before, some good and some not so good, but I’ve always wanted to try to make them myself. With this recipe, there’s no doubt we will never buy another frozen veggie burger again. These ingredients yield 6 burgers, so if you want more than that, double up on the ingredients. 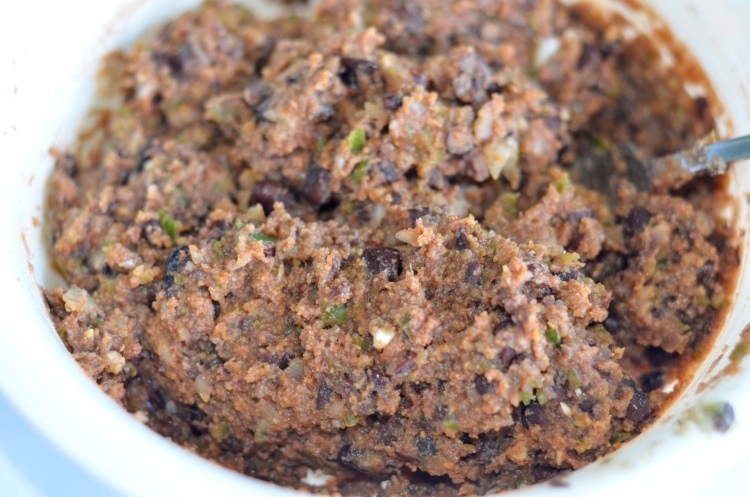 Any good black bean burger starts with black beans. So the first thing to do is rinse and drain the can of black beans. Then place them in a bowl and mash away. 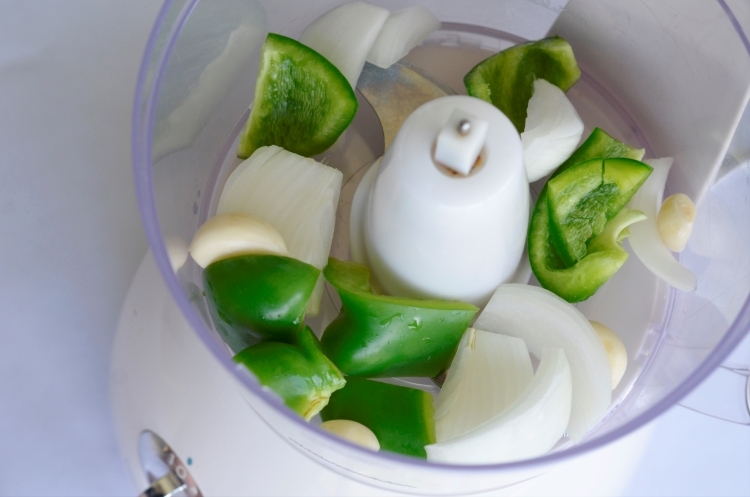 You can use a fork, a potato masher, or if you don’t want to take the time to do it by hand, a food processor works just as well. I find that when mashing by hand with a fork, there are going to be some whole beans left in the mixture. If that’s not something you want, the food processor is the way to go. Next is to chop/mince the green bell pepper, onion, and garlic. I use a food processor to do this so that it minces well enough to not leave large chunks of the veggies (but all the flavor) in the burger. Then mix that into the beans. Now add all the remaining ingredients to the mixture – egg, steak sauce, hot sauce, cumin, chili powder, bread crumbs – and combine it all really well. Now’s the fun part! Get your hands dirty and form the burger patties. 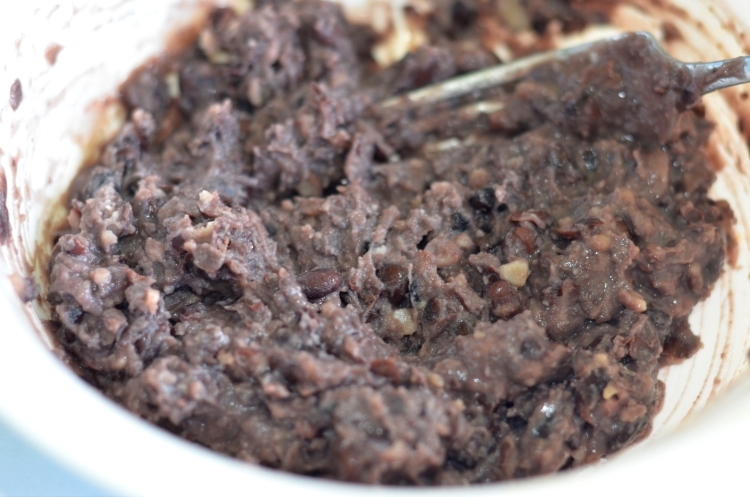 This mixture makes about 6 nice sized patties and unlike ground beef burgers, black bean burgers will retain their shape and size. So when forming the patties, don’t make them too big because they won’t shrink. Make them just big enough to fit a bun. You can actually bake the burgers (375 degrees, 10 minutes each side) and they’ll turn out amazing, but you can grill them too. If you go the grilling route, I suggest using some type of grill-top pan or stove-top grill pan of some sort. If you put these patties on a traditional grill top, you’ll have a hard time getting them off and will lose a lot of the burger to the grill. To grill mine, I went with the BBQ Grill Pan from Cave Tools. 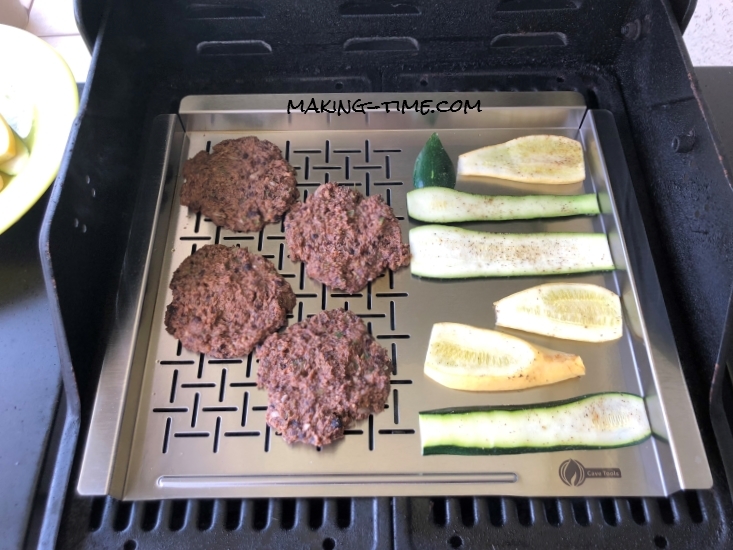 It’s a stainless steel grill topper that allows you to cook anything without losing it to the grill – veggies, fragile burgers like these Southwest Black Bean Burgers, steaks, chicken, fish, and even breakfast. Have you ever grilled your breakfast? Yea, me neither. If you don’t have anything that will work for grilling, I would definitely recommend the BBQ Grill Pan. 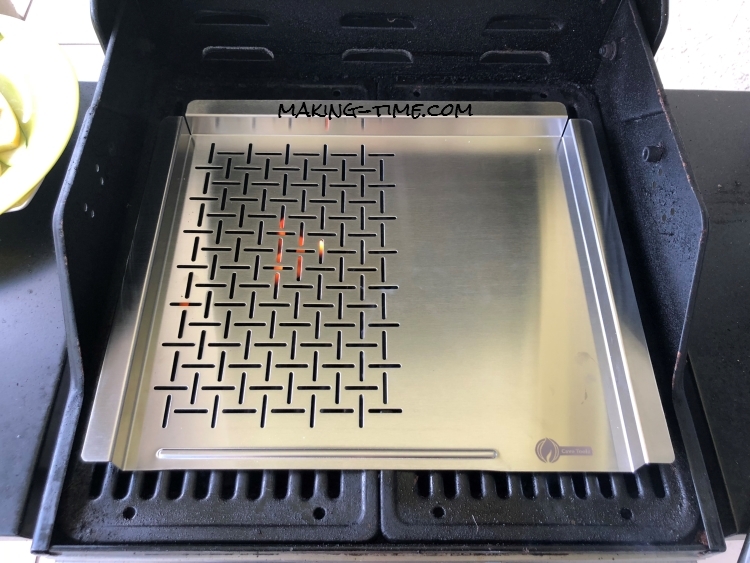 It’s easy to use since it just sits on top of your existing grill and it’s not overly large either, at 15″ x 13″. We have a smaller grill and it fit perfectly! Cleanup was easy too. The BBQ Grill Pan can be purchased directly from Cave Tools for $17.99, plus 15% off with promo code GRILLPAN15 OR from Amazon for $21.99 with free Prime shipping. 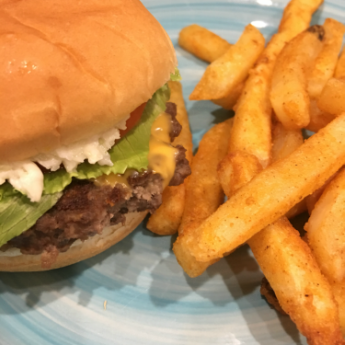 Once the grill situation is squared away, grill each side of the burger for about 7-8 minutes and they’re ready to go. 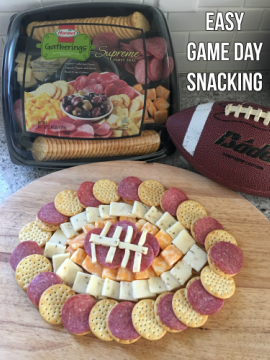 Add your favorite toppings and you’ll never look back! 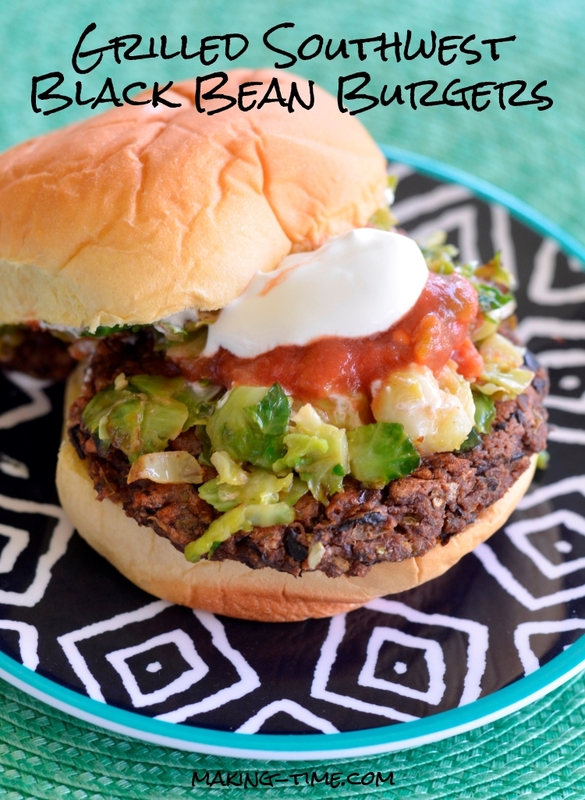 Our burgers yesterday were topped with sauteed Brussels sprouts, salsa, and a dollop of sour cream. Oh man, I wish we had some left over because I could really go for one right now. 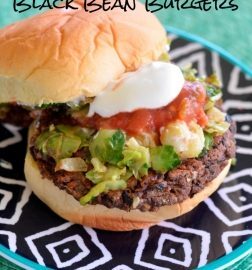 These Grilled Southwest Black Bean Burgers are so good, you'll never buy a frozen veggie burger again, and may never eat a ground beef burger again! Rinse and drain the black beans. Pour them into a bowl and use a fork to mash the beans into a pasty consistency. Set aside. 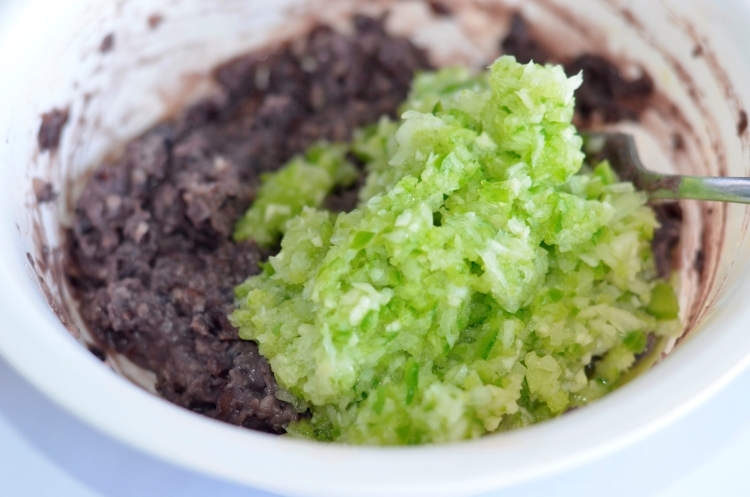 Using a food processor, mince the green bell pepper, onion, and garlic. Add the mixture to the bowl of beans and combine. 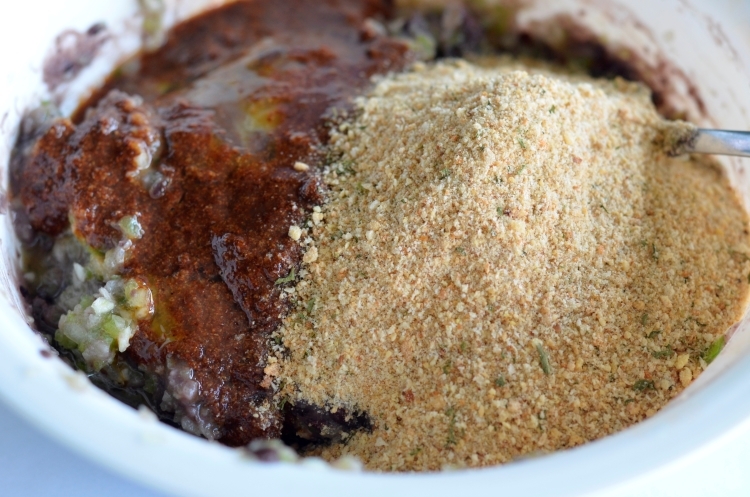 Add the egg, steak sauce, hot sauce, cumin, chili powder, and bread crumbs to the mixture and combine well. Form 6 burger patties and place them on the grill. Grill each side for 7-8 minutes. Unlike ground beef burgers, these black bean burgers will retain their shape and size when cooked. | These can also be baked at 375 degrees, 10 minutes on each side. | When grilling, I suggest using a grill topper or stove-top grill of some sort. If using a traditional grill top, you will lose most of the burger to the grill. 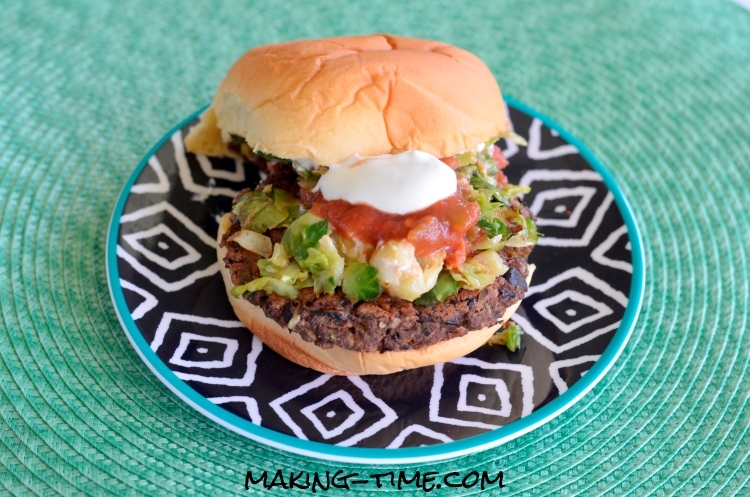 What will you top your Grilled Southwest Black Bean Burger with?